It feels like the middle of the Antarctic at the moment and I need something warm and delicious in my belly! 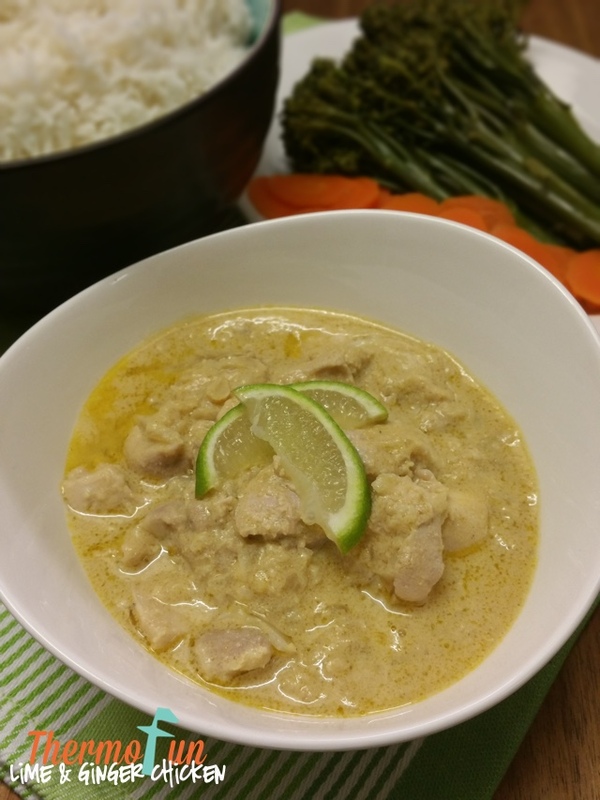 🙂 This thermomix lime ginger chicken fills that spot perfectly. It’s a beautiful light meal that leaves room for the most important accompaniment to any meal DESSERT! 😉 In all seriousness this is so hard to describe but it is just a beautiful meal that I think you will find a lot of the family members will be heading to the bowl for more! Place lime juice, butter, sugar and eggs into TM bowl and mix 20 sec / speed 3. Cook 10 mins / 80°C / speed 2. Set aside. Place onion, ginger, oil and cumin into TM bowl and chop 3 sec / speed 5. Add lime mixture, water, wine, flour and stock and mix 5 sec / speed 5 / Reverse. Scrape down and cook 1 min / 100°C / speed 1 / MC off. Add chicken, lime slices, salt and pepper and cook 18 mins / 100°C / speed 1 / Reverse / MC off.